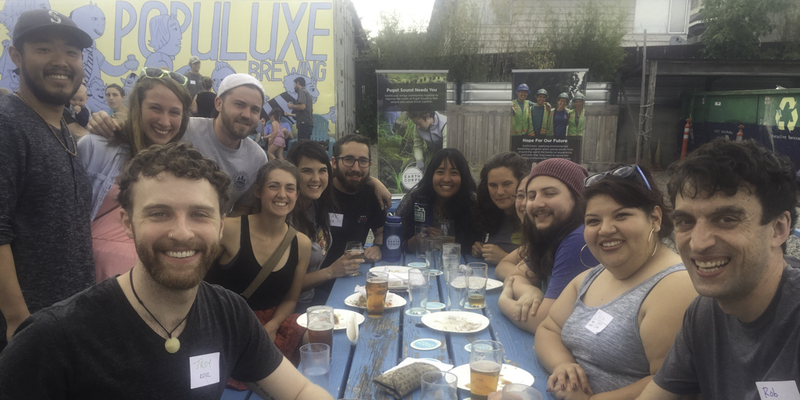 Grab a drink on May 22 at Lagunitas Brewing with EarthCorps! Lagunitas will donate a portion of every draft beer to EarthCorps to support our work improving the health of Puget Sound. It’s the perfect excuse to grab a beer with fellow EarthCorps volunteers, alumni, and friends! Kids of all ages and dogs are welcome. EarthCorps is providing a tasty taco bar. Optional RSVP on the Facebook Event Page.